Diana truly knows the real estate market inside and out and can successfully break through any barriers deals present for both sellers and buyers alike. Diana has been accredited with many high-end new construction single family home sales in both the Chicago and suburban market. In this ever changing market, Diana stays current by maintaining close relationships with their team of lenders, inspectors, attorneys and carpenters whom all play a major role in ensuring a smooth deal. Rest assured that she will be certain her clients are getting the most competitive rate in the market, a thorough inspection, an attorney who will fully represent them and skilled tradesmen should anything arise during the sale and most importantly any improvements buyers will make in their future home. 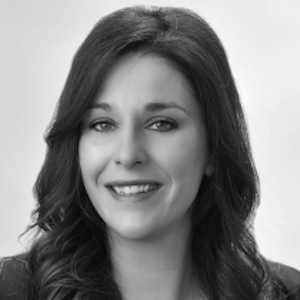 She has vast real estate knowledge in the Chicago neighborhoods of Lakeview, Lincoln Park, North Center, Roscoe Village, Wicker Park, River North, Gold Coast and continues her expertise to the Northwest and Western suburban markets. Real Estate is her career but most importantly it is her passion. Diana is married and has two sons and she enjoys family time and exploring the city together. Hands down the best experience selling and buying a home with Diana Radosta. She sold our home in less than 5 days and went to bat for us in negotiations in building our new home. Extremely knowledgeable and professional. Very professional, responsive and dedicated to her clients! We had a great experience! Our home wasn't even on the market a week and was sold! She was always available to us for any questions we had and explained things to us very straight forward and in detail. We have recommended her to many people. Again, we had a great experience working with her! Definitely would refer her to anyone! Diana is a honest and extremely responsive agent who is willing to go that extra mile to protect your interests. She is extremely knowledgeable of the market and how to deal with builders/issues that arise during the building process. Diana is a wonderful realtor. She is patient in showing home after home and tenacious when representing her clients' in negotiations. I have bought three homes and sold two with Diana and won't hesitate if we move again. I've worked with Diana (second chair) twice when my sons were looking to buy a condo in Chicago. She was amazing and was very good at knowing what the boys would like and, of course, what I was concerned about. Diana knows the neighborhoods of Chicago like nobody else I know. She listens and does not waste your time. Most importantly, she cares. My one son ended up backing out of a deal after all of her work and she said: "It wasn't perfect. We'll find something else." And she did. Buying our first home certainly came with some ups and downs but with a consummate professional like Diana, it made it much easier to manage. She's always available and after a short conversation, knew exactly what we were looking for, helping to steer us in the right direction and avoided wasting our time. Can't recommend her enough. We loved working with Diana! She is professional, prompt, and makes you feel like your interests are a priority. She is a terrific negotiator and found us a beautiful home at a great price. She is great at her job and we would highly recommend her! !